At All Care Professional Home Health, Inc., we are composed of skilled Registered Nurses, Occupational Therapists, Physical Therapists, Speech and Language Pathologists, and Medical Social Workers. All of them are educated and trained to provide their respective services. 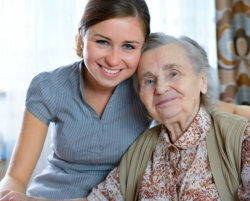 Our caregivers are also bonded, insured, and licensed. When you partner with All Care Professional Home Health, Inc. for your home health care needs, you can be assured that you are working with dedicated professionals. All of us are committed in making sure that you are able to receive the highest quality of care that you deserve.